It's hard to believe that we are already nearing the end of 2018. This year has proven to be outstanding as we as a department have seen incredible accomplishments, welcomed new team members, and solidified plans for a successful future. 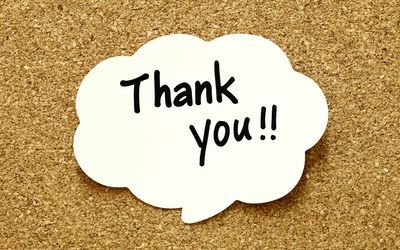 As we move into the season of thanks, I'd like to take this opportunity to thank each of you for your many efforts in making 2018 what it has been. May each of you enjoy a restful Thanksgiving with your family and friends. In 2013, the federal HIV Organ Policy Equity (HOPE) Act was signed into law which opened up avenues of research looking at organ transplant options for HIV-positive patients. 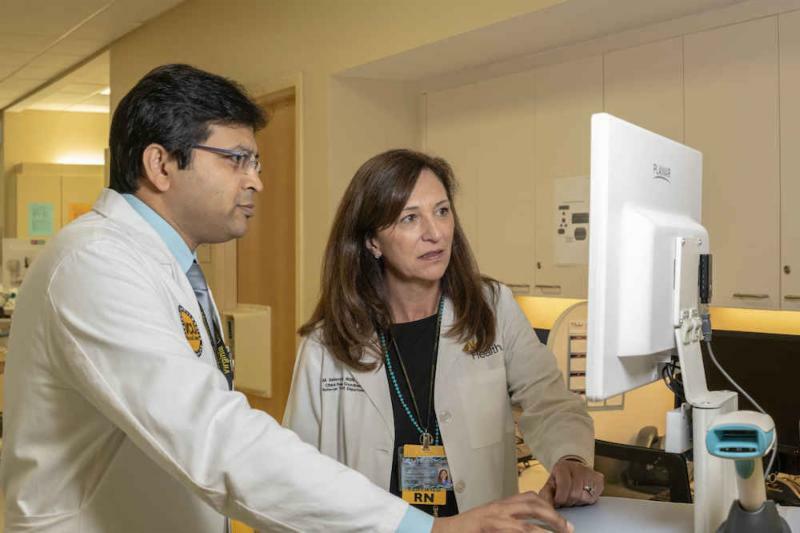 VCU Health was approved to participate in that research, with the Hume-Lee Transplant Center serving as one of 25 transplant centers in the United States participating in clinical research for HIV-positive patients with end-stage renal disease. This research aims to determine if kidney transplants from deceased HIV-positive donors are as safe and effective for HIV-positive recipients as those from HIV-negative donors. Dr. Gaurav Gupta , Associate Professor and program director of the transplant nephrology fellowship program states, " The ability to perform this new type of transplant gives patients more options and an expanded donor pool. Patients also benefit from the shorter transplant wait times at the Hume-Lee Transplant Center, where the average wait time is nearly half that of nearby health systems." More than 80 HIV-positive patients have received kidney transplants across the country. This includes VCU Health's first in June 2018. To read more of this incredible story, click here . 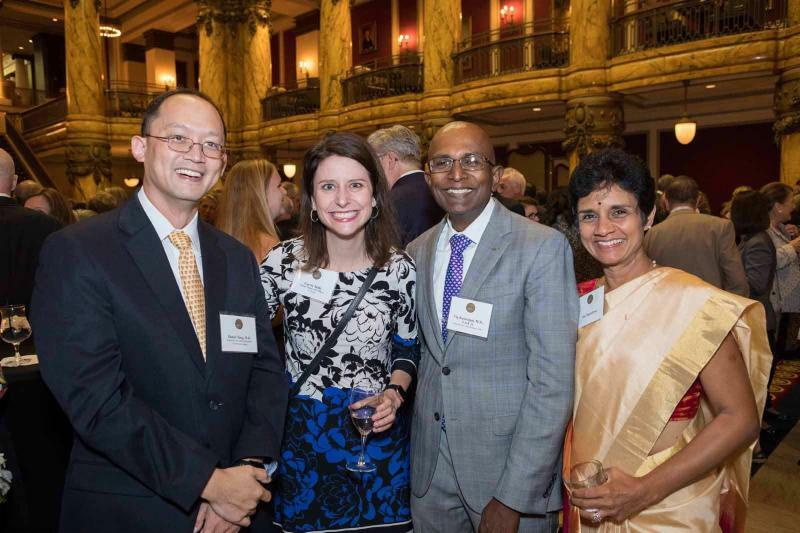 More than 50 faculty members from across the institution who were recently awarded endowed professorship and chair positions were formally honored with medallions during the 2018 Investiture Dinner at The Jefferson Hotel in Richmond, Virginia. Participants included our very own faculty: Dr. Daniel Tang , Dr. Harry Bear , Dr. Mark Levy , Dr. Guilherme Campos , Dr. Vigneshwar Kasirajan , Dr. Andrea Pozez , Dr. Michael Feldman , and Dr. Marlon Levy . School of Business Dean Ed Grier and School of Medicine Dean Peter Buckley, M.D., presided over the ceremony, which also recognized the donors whose contributions created the professorships and chairs. VCU President Michael Rao, Ph.D., and VCU Vice President for Development and Alumni Relations Jay Davenport, CFRE, gave opening remarks. As part of breast cancer awareness month, The Division of of Plastic and Reconstructive Surgery joined Massey Cancer Center to celebrate breast cancer survivors and the many improvements in reconstructive surgery. 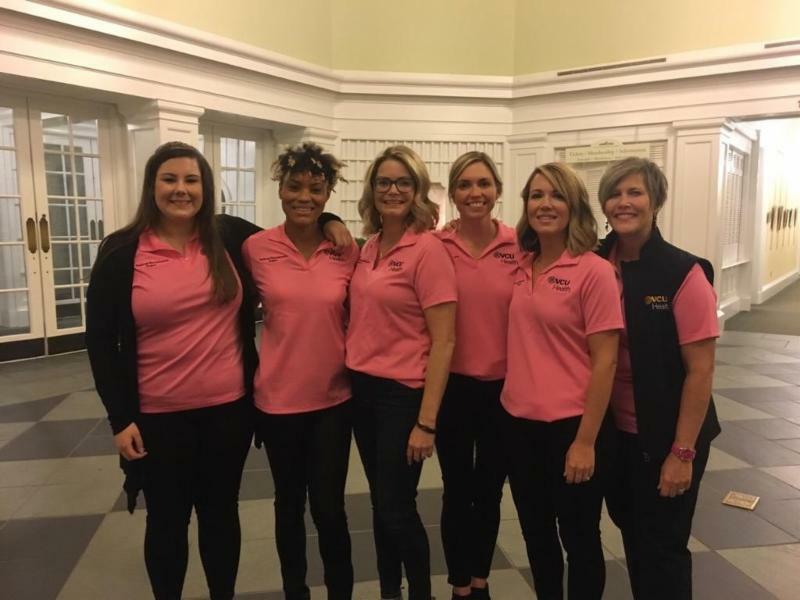 The event, Breast Reconstructive Awareness (BRA) Day was held on October 17th at the Lewis Ginter Botanical Garden where Drs. Andrea Pozez and Santosh Kale presented and women in attendance were given the opportunity to chat with others who had already undergone reconstructive procedures. BRA Day was initially started in 2011 with the goal of spreading awareness about breast reconstruction. 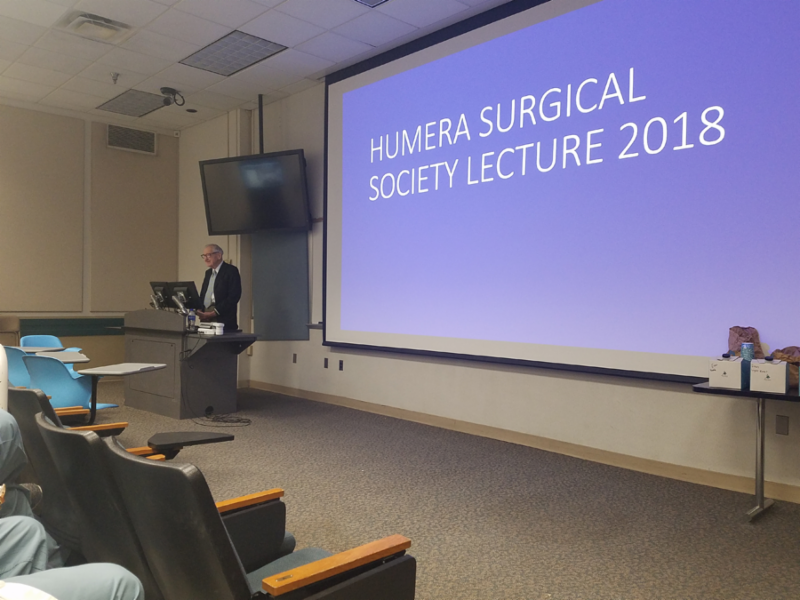 The Humera Surgical Society kicked off its 1st Annual Humera Surgical Society Lecture with a presentation given by the beloved Dr. Walter Lawrence , Professor Emeritus of Surgery. Dr. Lawrence's presentation, titled, "Personal Observations on Surgery - Past, Present, and Future," hi-lighted the many changes and improvements that the field of surgery has seen over the last few decades. The evening prior, faculty, residents, and members of Humera gathered at Sine's Irish Pub to celebrate Dr. Lawrence and enjoy an evening together over fabulous Irish nachos. To see pictures from both events, click here . Miss the presentation? Click here to watch it online. Drs. 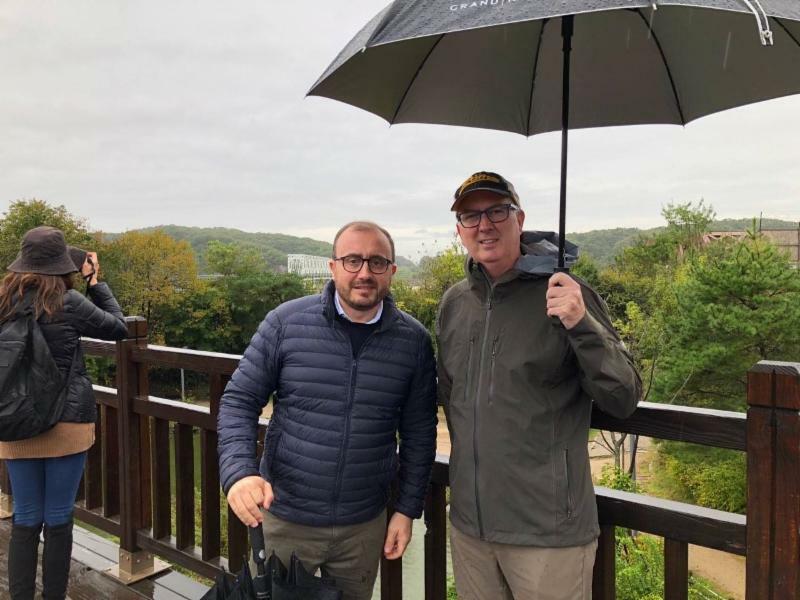 Lance Hampton (Professor and Division Chair) and Riccardo Autorino (Clinical Associate Professor) with the Division of Urology recently visited Seoul, South Korea, where they presented at the 38th Congress of the Société Internationale d'Urologie . Dr. Hampton's presentation was titled, " Novel Intraoperative Imaging Modalities during Robotic Surgery." Dr. Autorino presented "Robotic Partial Nephrectomy: How to Optimize Renal Function Preservation." Check out Urology's Facebook page for more photos from Seoul. 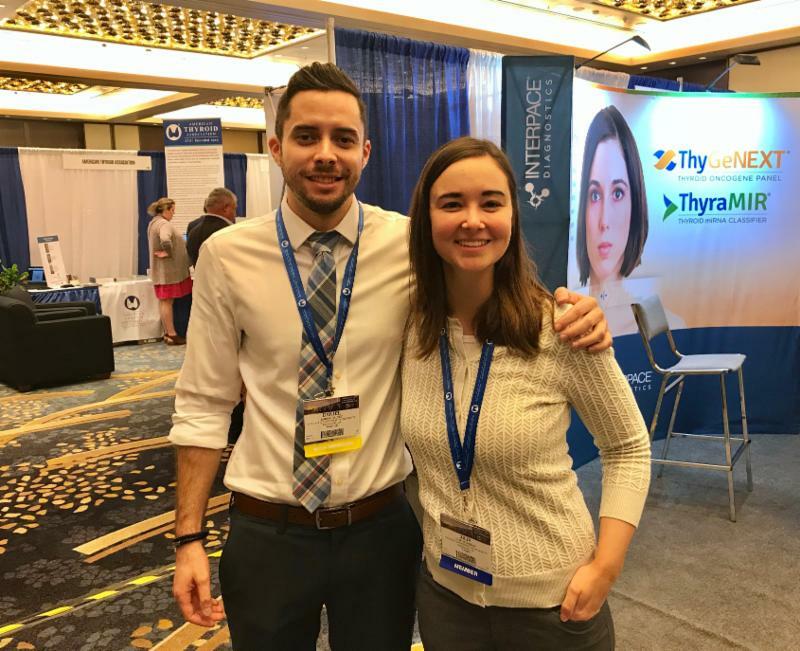 Two General Surgery residents recently attended the American Thyroid Association meeting where they both presented their research. Dr. Daniel Galvez Lima (PGY4) presented "Case Report: Unusual Cause of a Rapidly Growing Thyroid Mass Compressing the Airway." Dr. Julia Selfridge (PGY3) presented "Medullary Thyroid Carcinoma with Extensive Locoregional Metastases: A Personalized Approach." 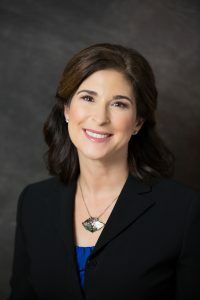 Congratulations are due to Dr. Stephanie Goldberg , Associate Professor with the Division of Acute Care Surgical Services for receiving funding from the American Medical Association to study student experience. Dr. Goldberg's project will focus on the effects of wellness coaching for fourth-year medical students who plan to apply for surgical residencies. 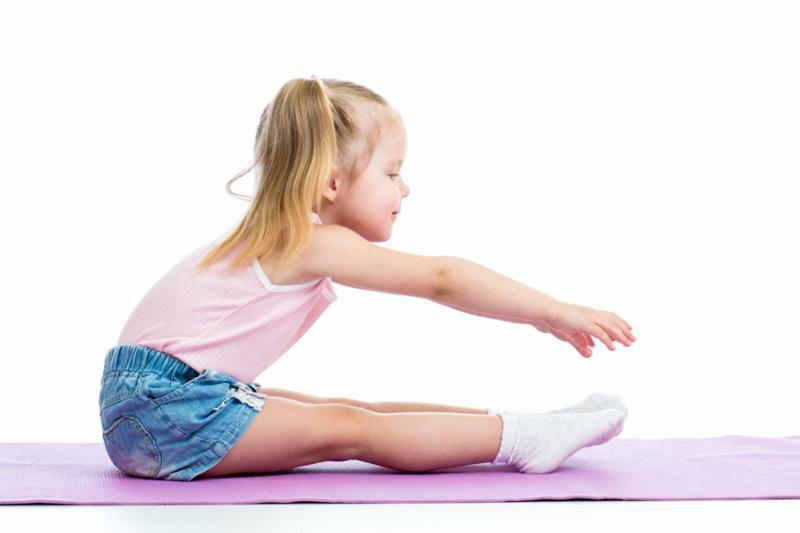 The study will include Oregon Health & Science University, University of Connecticut and Vanderbilt University Medical Center. 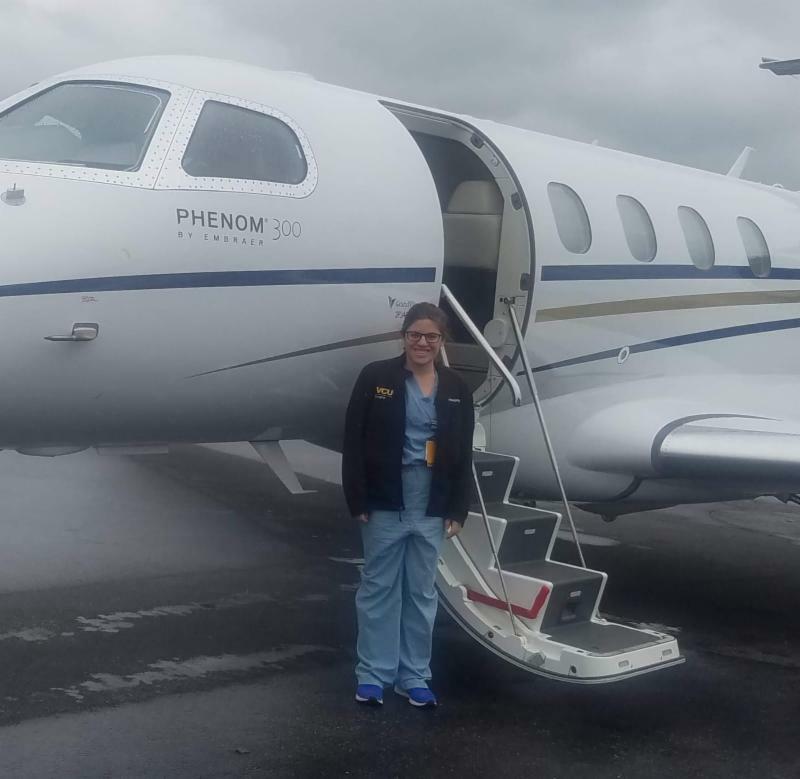 General Surgery Resident, Dr. Ashley Rosenberg recently received notice that her paper, titled, "Ectopic Pelvic Kidney with Anomalous Vascular Supply during Deceased Organ Procurement - Case Report," has been published in OBM Transplantation. Pictured left is Rosenberg during the transplant procurement by the jet. This particular procurement would later lead to this publication. To read her publication, click here . Dr. Brian Kaplan . Professor with the Division of Surgical Oncology will be running the NYC Marathon on November 4th. This year, he has decided to run in hopes of raising money for Project Purple . 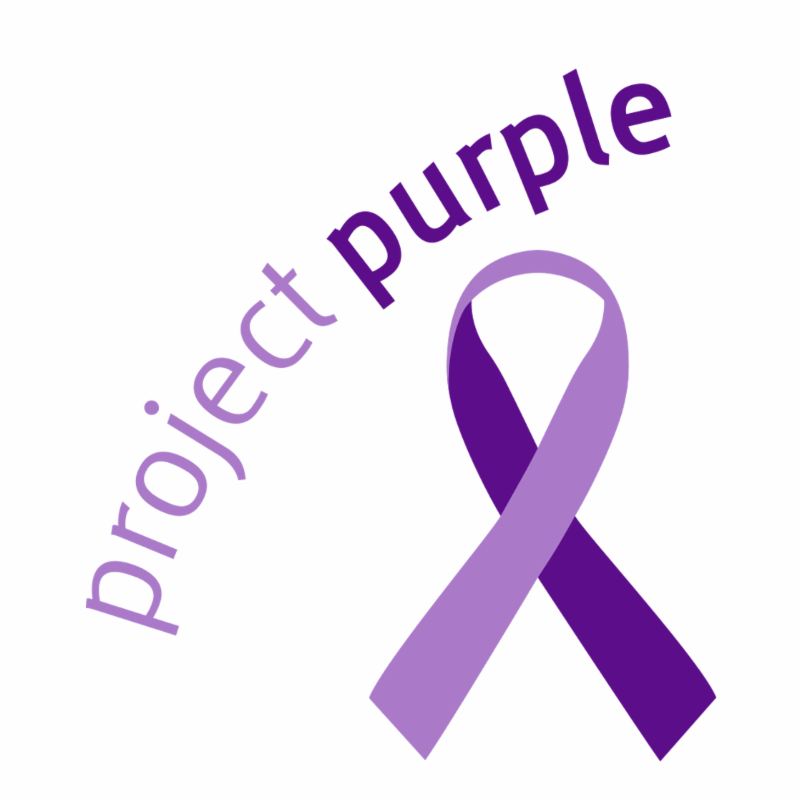 The mission of Project Purple is to "find a cure for pancreatic cancer and to improve the lives of patients through support, hope, and compassion." Funding received will help support critical pancreatic cancer research as well support existing patients through their Patient Financial Aid program. If you'd like to support Dr. Kaplan, whose own father passed from pancreatic cancer, click here . 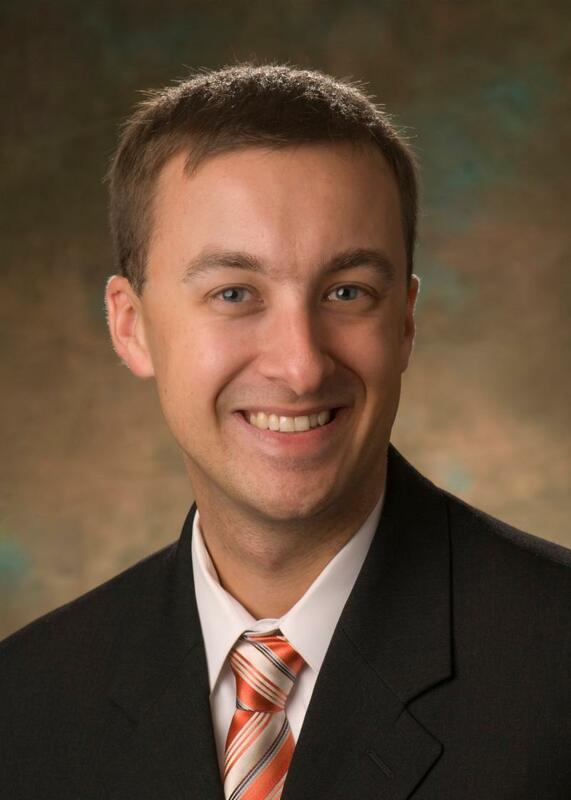 Dr. Nelson joins us from Farmington, Connecticut where he practiced with Pediatric Urology Associates. He received his medical degree from Tufts University. He went on to complete his residency at Thomas Jefferson University Hospital and later his fellowship at the Texas Children's Hospital, Baylor College of Medicine. Dr. Nelson specializes in pediatric urology to include undescended testicles, hernias, hypospadias, recurrent urinary tract infections, and much more. Innovation Gateway will award up to $50,000 per project and up to $150,000 in total as part of the Fall 2018 Commercialization Fund. The awards are intended to de-risk and advance VCU inventions to a more mature stage and thus improve their chances of being out-licensed and brought to market. OVPRI is excited to announce the opening of the Request for Proposals (RFP) for the Fall 2018 Commercialization Fund . 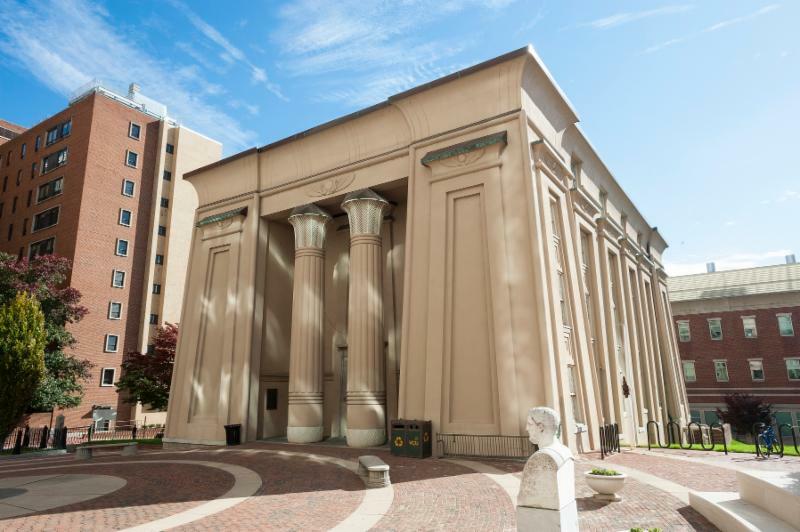 The Commercialization Fund has been established to support translational research and inventions created at VCU that have the potential to be commercialized and benefit society. A total of $150,000 in funding is available for awards up to $50,000 per project. Application opens on September 10, 2018 and closes on October 10, 2018. The program strives to provide as many pilot grants (up to $40,000 each) as possible to proposals that meet three criteria – an innovative idea to improve cardiovascular health, a project that is feasible in 12-18 months, and that leads to an extramural grant submission within 18 months. Instructors, Assistant Professors and Associate Professors are invited to apply for grants to improve cardiovascular health. Faculty members that have an appointment at the Veterans Administration or other institutions affiliated with VCU are eligible if they also have an appointment with the VCU campus Multidisciplinary applications involving collaboration of different departments and/or schools will be viewed favorably. The synergy between different areas within or outside the Center should be highlighted in the proposal. Letters of Intent are due by September 26 th , full applications due October 17 th . The letters of intent should include the project title, list of all investigators, and 2-3 sentences regarding the hypothesis to be tested. The purpose of the letters of intent are to identify reviewers with expertise in the topics included within the submitted applications. Letters of intent (LOI) must be received by November 15, 2018 at 5:00 PM EST. Projects that meet funding criteria will be invited to submit a full application. Awards will be announced in March 2019. The LOI submission form and application template, as well as grant criteria, are available on the Virginia Catalyst web site. November is a time of thanks as we celebrate all the people that brighten our lives. Department of Surgery gratitude wall. On West 16, you will find a white board with post-its and pens. During the month of November add a note of thanks or recognition for one of your colleagues. Each note should be specific to one person (though you are welcome to add additional notes for as many colleagues as you'd like!) and detail why you are grateful to have them as a colleague. Did they do something awesome to help you? Do they just make your days brighter? Anything! For every note of thanks, those recognized will be entered into a raffle to win 2 movie tickets sponsored by the Department of Surgery's Committee for Development, Engagement, and Wellness (DEW). The drawing will be held on Friday November 30th so be sure to get those gratitude notes in! Shout-outs can be added via the post-its on West 16 or emailed to Jessica Carey (who will write and add them for you). Meet Antonio Crew, Manager of Surgery's IT Support Services! Antonio joined the Department of Surgery just shy of 3 years ago and has turned our IT world upside down. 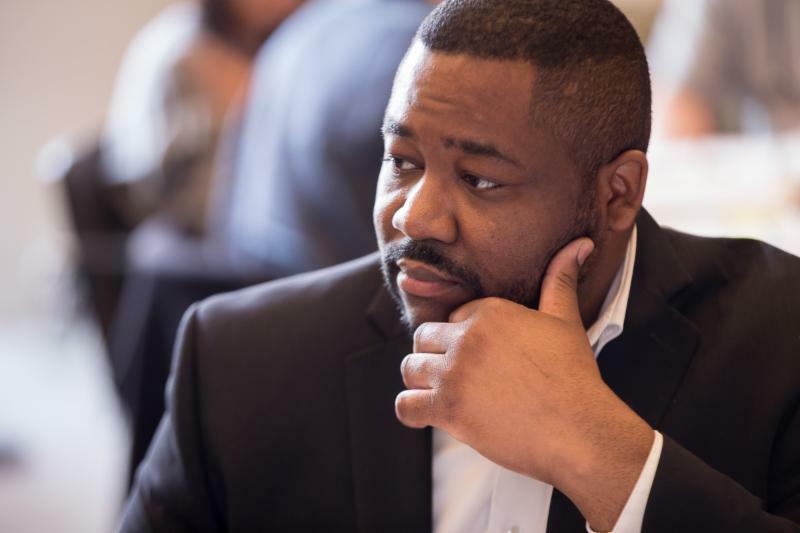 In his role, he facilitates the technology needs of the department across VCU and VCU Health domains. This includes procuring technology, managing technology projects, and managing the incredible CSIS team. When asked about the most exciting part of his job, Antonio writes, "The most exciting part of my job is being able to work with such an amazing group of individuals! 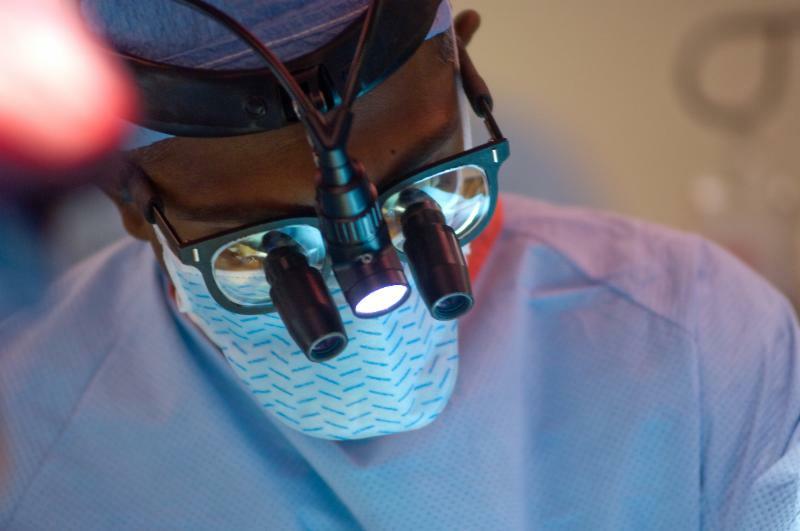 The Department of Surgery is all about educating, innovating, and caring, and we have some of the best physicians/faculty and staff on our team. It is truly... an honor to have even a small part in helping them do what they do." When not at work, you will find Antonio playing UNO and enjoying "long walks in [his] yard while pushing a lawnmower." If you're like a large portion of the world's population, falling asleep and sleeping well can often be quite a challenge. When the events of the day whirl through your mind, it's often hard to slow things down enough to drift off. 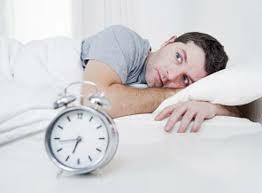 Throw in stress and anxiety and sleep becomes even harder to get. The National Sleep Foundation suggests trying guided imagery in those moments to slow your mind and more easily drift off to sleep. Want to learn more? Click here . Contact Jessica Carey with questions! To learn more and register, click here .